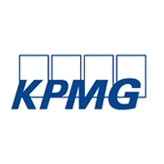 KPMG in the UK is part of a global network of firms that offers Audit, Tax, Consulting and DealAdvisory services. The talent of our 13,500 colleagues brings imagination and insight to our clients’most critical challenges. In an ever-changing and increasingly digital business world, we use meaningful insights and tech-enabled solutions to help deliver real results.